What size and shape should I make a window valance? 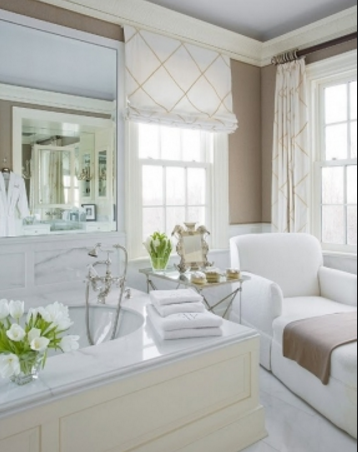 5 tips designers like Candice Olsen use for making window treatments! The size of your valance is based on three things, how much wall space you have available, whether you prefer to hide your blinds behind the valance, and what the room size dictates. 1) Create a paper pattern! This will help you visualize the best size for your valance. As a rule of thumb, we like approx 22″ to 23″ tall for the a valances size. However, it is room specific! 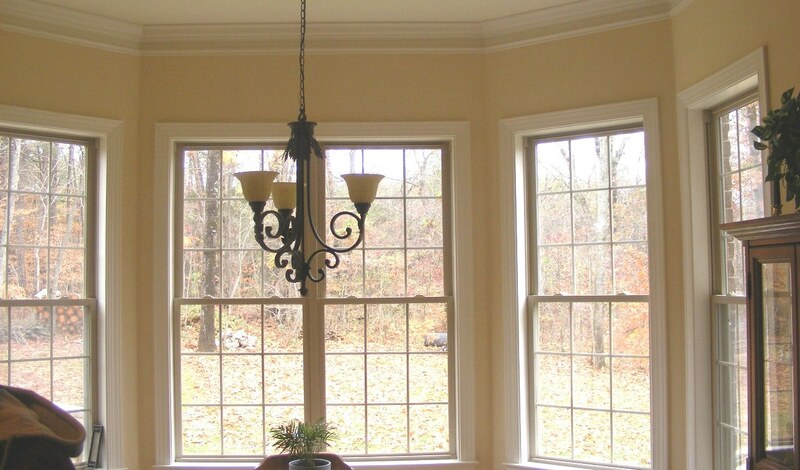 This bay window lacked style and the ceilings felt short before adding window valances. 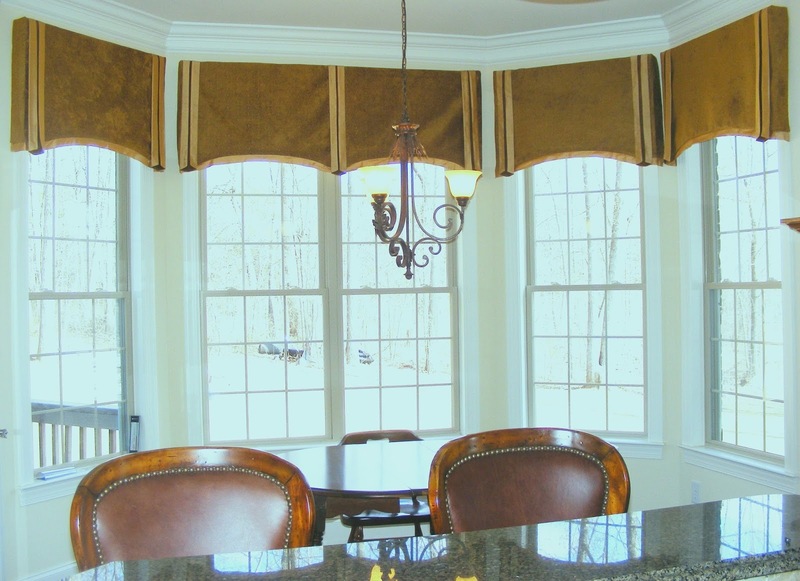 Once we hung the custom valances, this Greensboro, NC home looked more inviting! 2) Add a curve to your valance! Although an arched valance is harder to make (especially with a contrast band), a curve is a nice shape to soften all the harsh straight lines. It’s like having arched windows for a lot less expense! 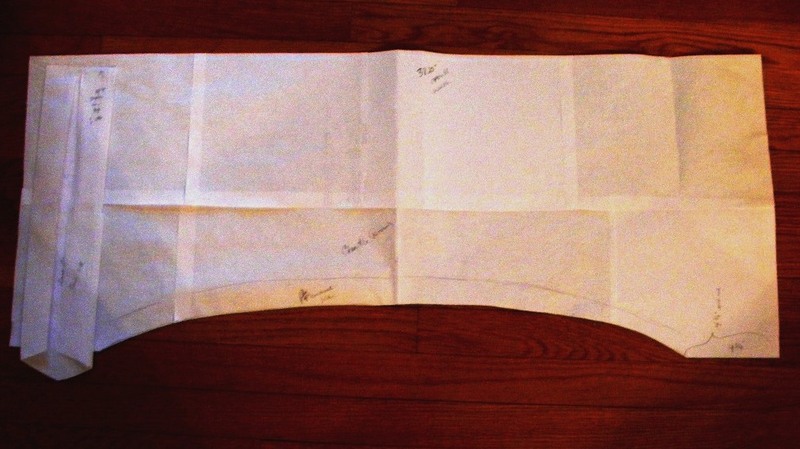 3) Sketch the shape of your valance on craft paper! By using a pencil, you can adjust the shape of the curve until you like it. The valance shown is 38″ wide, with a 2″ contrast band, and 4 1/2″ wide ties on each side. 4) Create a computer rendering. If you still have trouble visualizing, a rendering of you window treatment will help you decide what shape and size you’ll like. 5) Spread out the fabric to view the pattern repeat! Don’t settle for a small swatch. To help visualize, we spread out a bolt of fabric, for an accurate view of how the color and pattern will look next to paint, art, rugs, tile, and cabinets. A small fabric swatch can be very misleading! The color tones can change, based on your stains and wall paints, but it’s not possible to realize this from a small swatch. Often a client will think a fabric is perfect for a room, until we encourage them to spread out several yards and view it in the room, someone they “change colors”! 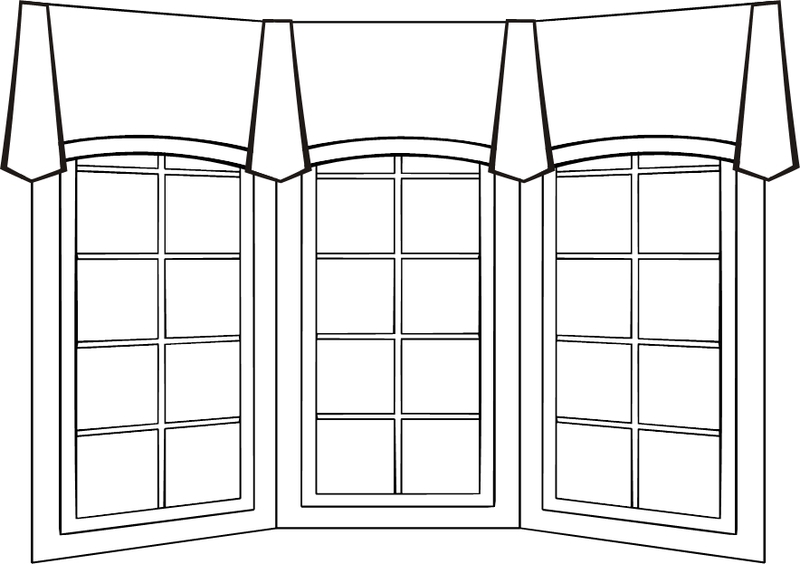 5) Decide in advance if the window needs privacy! There are options for privacy solutions, blinds, shutters, roman shades, bottom up shades, and more! 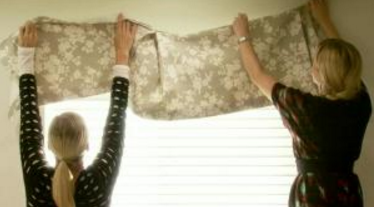 If you think about this before you decide on a size and shape, you can often HIDE the shades under your valance. Think about function, do you need to be able to close the fabric for room darkening? If so, you may want a roman shade instead of a window valance. For the most popular style window treatments designers use, with before and after photos, see the amazing photos on this link! What size and layout for a collage of family photos? 7 tips for a photo gallery! How to make an all white kitchen warmer and more colorful? I often have trouble visualizing, so using a pattern beforehand is great advice.